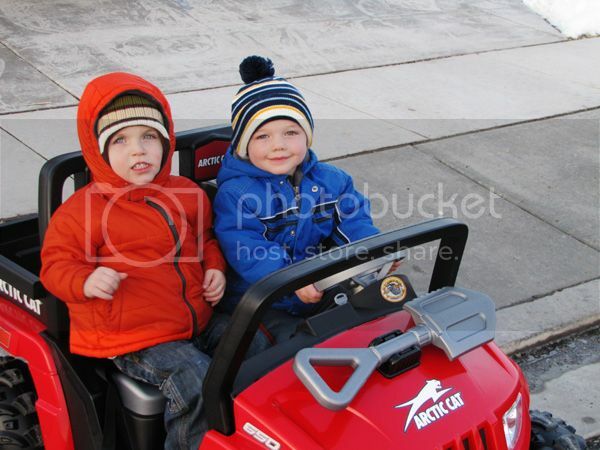 Today Bryson and Brock climbed into Brock's new ride and took a road trip together to see the horses. 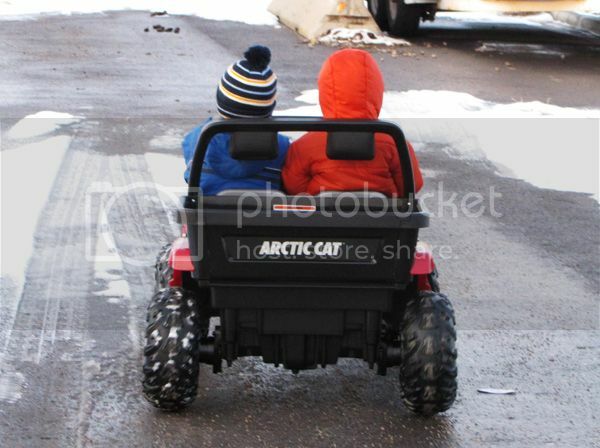 Bryson took the wheel, Brock rode shotgun and off they went. About .01 miles and 15 minutes later, they arrived at their destination. Pretty good time for two two-year-olds!